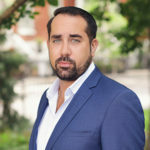 Throughout his more than 12 years in the business, Lou Belisario has stood atop the New York City real estate ranks thanks to equal parts hard work and innate skill. Coming from a real estate family, Lou knew early on the profession was his destiny. He pursued his license while still in college and earned his Associate Broker designation just three years later. He was named rookie of the year and has remained a top producer ever since. More than a broker, Lou also excels in sales management and has overseen and mentored dozens of agents. He has personally closed hundreds of transactions totaling a quarter-billion dollars, and he's assisted with hundreds more.